FINALLY got them to let me take them to get their hair cut! 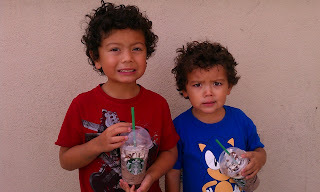 I love that they love their curls, but they never want me to take them to get it cut. omg, my son's hair is so curly just like that! i usually trim it myself while he's in the tub! Ha! 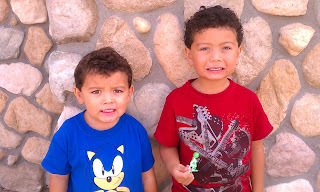 My kids hate haircuts ;-) They look cute! Awww. So cute. Love their cuts. Is it just boys that don't like haircuts?? I lobe their curls too!